Tamara Narayan, Author: W is for . . .
Wisteria. I have one of these gorgeous trees in my backyard, but this ain’t it. Up here in New York, the blooms won't show until June. Mine desperately needs an arbor, because the winter winds have pushed it over. Wisteria is a climber and a destroyer. In SC, the vines grow like kudzu, engulfing trees and everything else.The perfume generated by such a mass is intoxicating. Purple, white, and pink are popular colors for the flowers, but there is also a yellow variant. Care to see more stunning photos? Click here. Yesterday's famous brand: You got it again. Volvo. Click on the A to Z Challenge button at top right for a linked list of participants. We get several varieties here in NC. Don't know the W today. 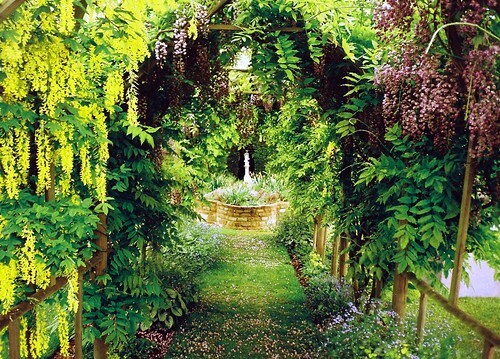 Love the scent of wisteria - my friend had it all over the back of hr house, and it was wonderful sitting in her garden. Such an old-fashioned scent somehow. 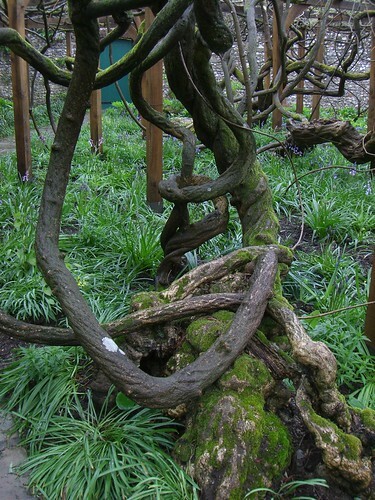 Wisteria is the devil. Sure it looks pretty, smells great. But then, it takes over and you find the roots EVERYWHERE. We have it all along the huge rock retaining wall at work. Gorgeous to look at, but I'll leave it at work, thanks. You mentioned this on Stormy's post with trees! So beautiful. I've never seen one of these. I didn't know the W today but I see someone above me does. PS - I'm in NY too. I like this tree. I don't have it myself, but I like seeing it around. I love Wisteria! What a great w post. I didn't know it was ever any color other than purple, though; that's kind of cool. Dropping by from A to Z; it's nice to meet you.